This plugin will protect your wp-login.php login page using HTTP Digest Authentication and the best part is that it works with all web servers and doesn’t require modification of .htaccess or any other server configuration file. Why use HTTP Digest Authentication? Basic Authentication credentials are base64 encoded and sent over the network like this – amVzaW46c2VjcmV0. A base64 decoder is enough to find out what lies inside. A nonce is generated during each authentication so for the same pair of credentials you may see very different responses like 39fe1ee757d34426b635406c812f4a0a and fccbc307ac95cd2caa4ce6bd23633f29. Each user can change this by going to their Users > Your Profile. Users who register or are added through the administration panel will also have the same default credentials. Use the following MySQL query to find it out. 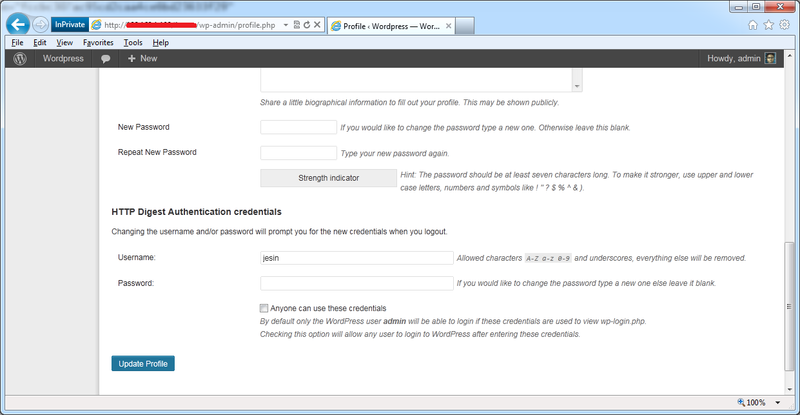 Replace wp_ with your database prefix and use you actual WordPress login username. Use the following MySQL query to reset it to ‘secret’. Login and change your password immediately. 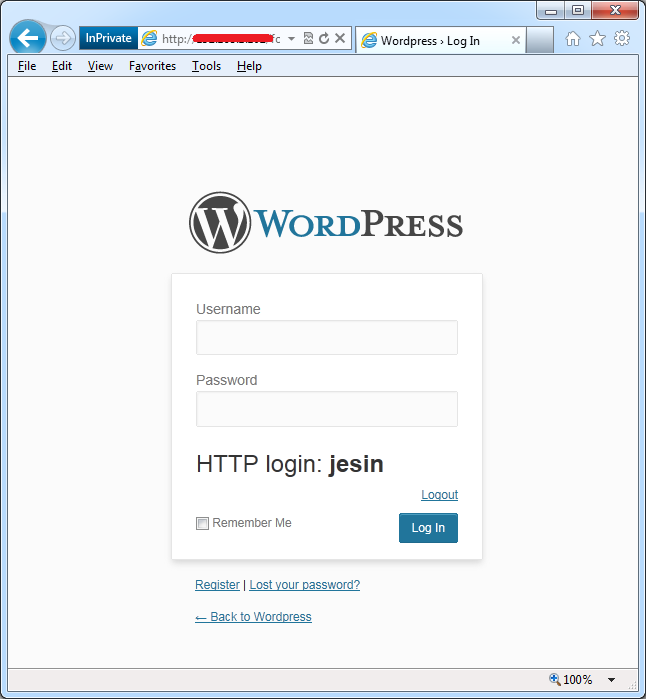 The wp-login.php page will display the HTTP Digest username. It also displays a logout link which logs out the HTTP user. When you logout of WordPress you’ll be taken to this screen. Clicking “Login Again” will prompt for HTTP credentials before wp-login.php.